Fotografity Blogger Template is a smooth and minimalist photography blog theme/template for google blogger. This simple and good looking Free Responsive Blogger Template follow only the best coding standards to ensure Fotografity will probably be the easiest blogging theme you will ever set up. 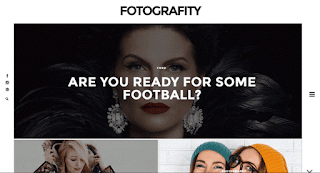 Fotografity blogger template is ideal for any modern website that wants to focus on story telling with beautiful imagery.